Koki Nagahama/Getty ImagesJapanese fans and their babies cheer prior to the AFC Asian Cup Group B match between Saudi Arabia and Japan at Al-Rayyan Stadium on January 17, 2011 in Doha, Qatar. 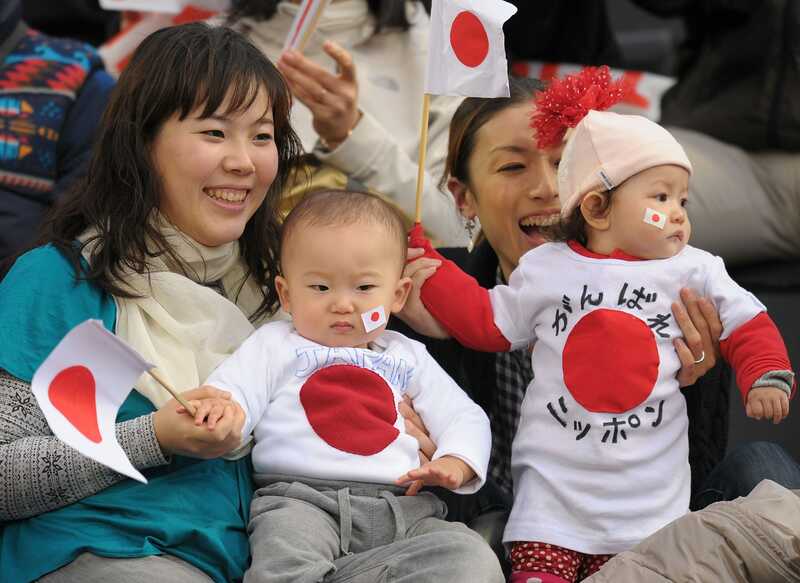 The world’s population is ageing while many countries’ birth rates fail to keep up. The extreme data point underscores a broader economic trend that some economists are warning clients about: declining fertility rates lead to an ageing population, which is thought to usher in depressed productivity, labour-force participation, and stagnant inflation. More indirect results of declining birth rates may also have an impact on macroeconomic factors like homeownership. Deutsche BankThe global population as shown by people under 5 years old and over 65 years old. Yardeni – who has long written about the economic impact of an ageing population, particularly in China – said the US has a fertility rate slightly below replacement. 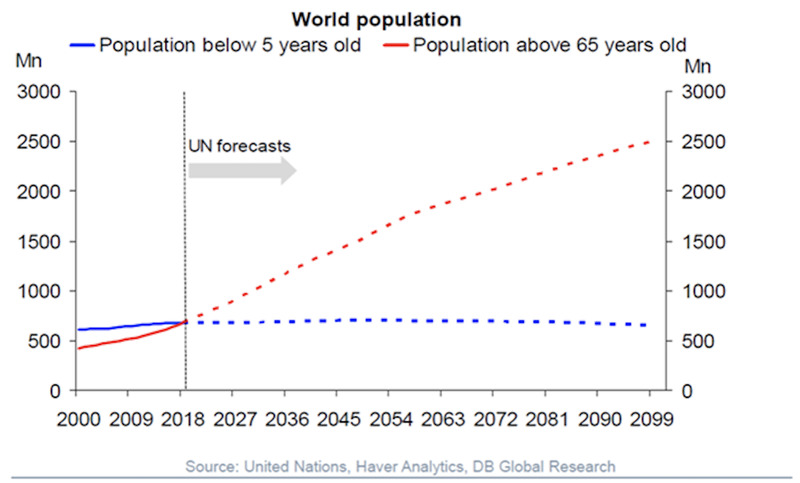 Wall Street is taking note of the broader “stagnation” theme associated with an ageing population. For a second straight month, the theme dominated Bank of America Merrill Lynch’s Global Fund Manager survey, which takes the pulse of how big-money managers view global markets and economies. Bank of America Merrill LynchThe return of secular stagnation. To be sure, others contend there is no clear negative association between an ageing population and declining growth. In a counterintuitive result, they found that countries undergoing rapid ageing have grown more in recent decades, likely reflecting a faster adoption of labour-replacing technologies and automation.